We are engaged in trading, retailing and wholesaling 3M Aluminum Cut Off Wheels on a large scale. 3M introduces Aluminum Oxide Cut off wheels, the faster way to cut solid bars, tubes,flats and angles. 3M Cut Off Wheels are excellent and the economical choice for cutting diverse materials ranging from alloys to mild steel. When it comes to faster, easier metal cutting, 3M Aluminum Oxide Cut off wheels define the performance benchmark. 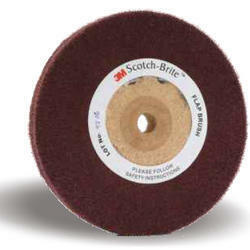 With their enchanced technological edge, 3M Alox Cut off wheels produce lesser burr - meaning lesser rework. Also their faster cut rate with lower vibration ensures higher productivity, lesser worker fatigue. And importantly, minimised tool downtime. 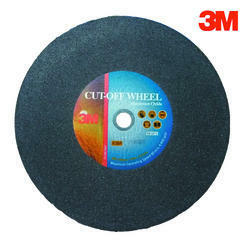 Trust 3M Alox Cut off wheels with International quality and safety features for a cut above the ordinary. With a fast and clean cut every time, 3M Cut-Off Wheels is perfect for all the cutting requirements such as sheet metal cutting. 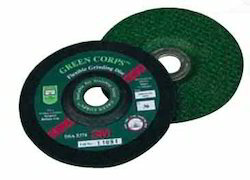 We are the Authorized Distributors for 3M Green Corps Flexible Grinding Wheels. 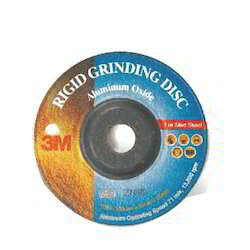 Being one of the reputed organizations in the market, we are engaged in trading, wholesaling, retailing and supplying an exclusive range of Flexible Grinding Disc. Provided grinding discs are manufactured by our valuable vendors using the best quality raw material and advance technology in sync with set industry parameters. 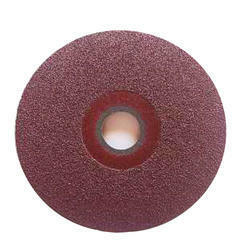 Apart from this, offered grinding discs are widely used in the industry for material lapping and planarization. 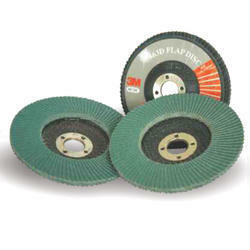 These grinding discs are available in the market as per need of customers and also at affordable rates. 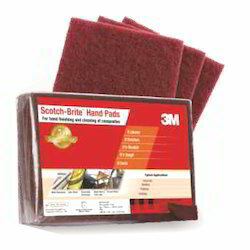 3M™ All Rounder handpad is a non woven abrasive hand pad with impregnated aluminum oxide abrasive grains for consistent, longer lasting, superior performance. Generate good finish. Can be used for paint scuffing. 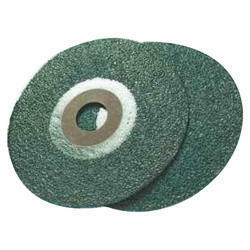 The 3MTM GreencorpsTM rigid grinding disc is a 6mm thick depressed center disc for right angle tool and is designed to provide high rate of stock removal and long life to meet all your toughest grinding needs. 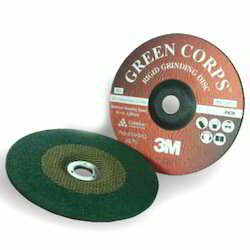 The 3MTM GreencorpsTM flexible grinding disc is an aggressive grinding disc for right angle tools and is specially designed to have the flexibility of a fiber disc and the versatility of a type 27 grinding disc. 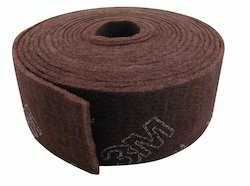 3M Multipurpose Abrasive handpad rolls is an Alox based roll. 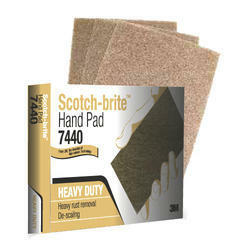 Generally used in initial cleaning applications for cutting, sanding, weld burr removal. Removes even the minutest metallic dirt. Generate extra finish without affecting dimensional tolerances. 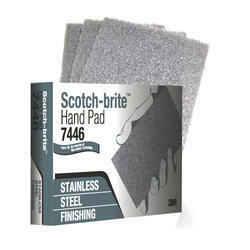 More suitable for superior finishes on stainless steel. Provides unique hairline finish. Ideal for blending scratches. Merging of weld marks. De-scaling and Rust Removal with heavy stock removal. Finds application across manufacturing segments such as Auto components, Metal fabrications, Ceramic Tiles and Sanitary ware, Cooking Utensils, etc. 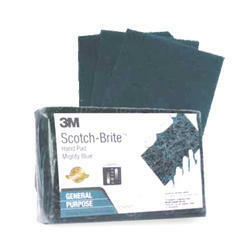 Alternate flaps of Scotch-Brite web and X- weight coated abrasive cloth, Flaps of Scotch-Brite material bonded a fibre core. Open, fiexible fiap construction is soft and piIabIe to produce uniform surface finishes without chatter marks. 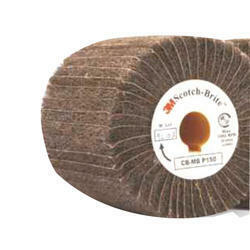 Brushes are impregnated with abrasive mineral to give uniform cut and finish throughout product life. 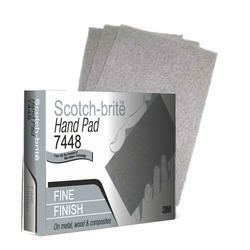 Open, flexible flap construction is soft and pliable to produce uniform surface finishes without chatter marks. Softer, less aggressive construction for finer blending and finishing. Cleaning and light deburring of various substrates, satin finish on metals. 3MTM Fiber Disc (381C) contains aluminum oxide mineral that gives fast cut rate and lasts longer. So now, sanding can be done faster and with much ease. This product is majorly used by carpenters for quick sanding of wooden furniture. 3MTM CubitronTM Fiber Disc is power packed for heavy grinding and weld removal applicaions on mild steel and stainless steel. Aluminium disc A24 DC wheels are specifically suited for mild steel grinding applications. Provides high and consistent quality performance. 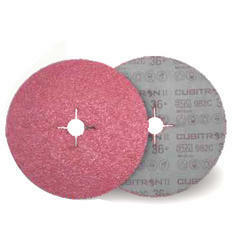 3MTM CubitronTM II Fiber Disc 982C slices through carbon steel with 3M Precision Shaped Grain. 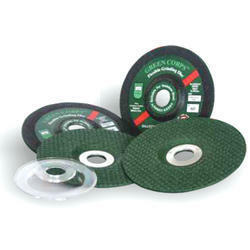 Exceptionally high cut rate, durability and life compared to other fiber discs. All with less grinding pressure - that means less operator fatigue, fatser throughput and more parts per disc. 3M™ 563D radial flap disc is a fast cutting disc with exceptionally long life and minimal heat generation. Provides optimal performance both on mild steel and stainless steel. 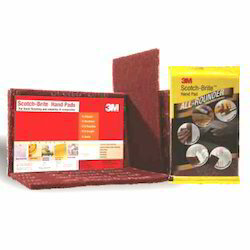 3MTM 233Q Premium WetordryTM abrasive sheets is a WetordryTM sanding sheet that offers super fine & uniform surface finish on wood coatings i.e. NC/melamine/PU/ polyester surface sanding. Specifically designed for wet sanding application, the product offers premium performance with much lesser scratches on the surface than any competition. 3M 518 is a Wetordry™ sanding sheet that offers fine and uniform surface finish on plaster, wall putty as well as wooden surface.